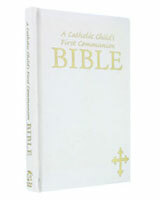 The New American Bible is the revised translation authorized by the bishops of the United States. 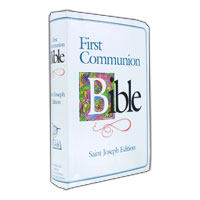 This is a beautifully designed gift Bible created just for First Communion. This is a great Bible for a child to have as a memory of their first communion and because it is the full text they can refer to it in years to come. 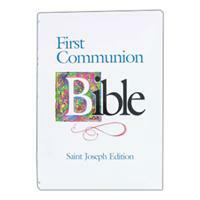 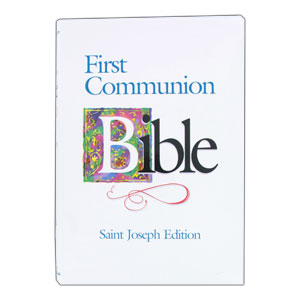 St Joseph Communion Edition full Catholic Bible includes prayers, how to say the rosary & the apostle's creed. 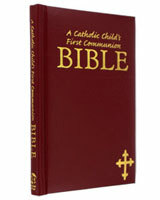 The presentation page will remind them of their special day and the full scripture is ready for future study.